Today was run 2 of the Run Project racing series. 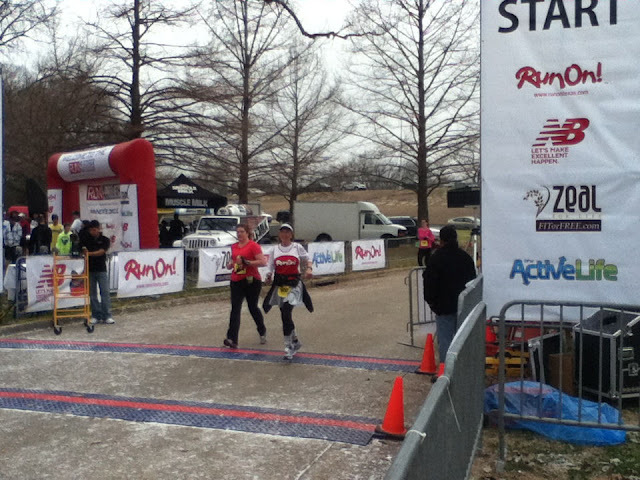 Too Cold to Hold is a 5K/15K at Norbuck Park in Dallas. In all of the Run Project races I am already signed up for the longer distance, so I ran the 15K. Here are the 2012 Too Cold to Hold results. The next Run Project race is the Dash Down Greenville in March, but we are signed up for a couple of races in February. I washed my Ipod (for the 2nd time), after last weekends race. I got an Ipod Touch as a replacement. Its nice. This photo was taken with the camera after I finished. It also takes HD video and can connect to the internet with wi-fi.